Not only is April Autism Awareness Month, but World Autism Awareness Day is recognized on April 2nd. 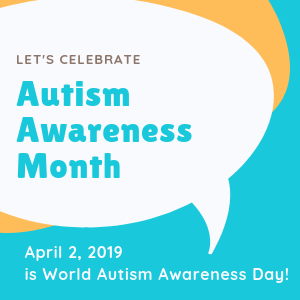 The Autism Society launched a nationwide effort to promote autism acceptance and assure that each person on the autism spectrum is provided an opportunity to achieve the highest possible quality of life. Learn more and check out the Autism Awareness Month resources on the Autism Society website. National Social Security Month is celebrated in April and is centered around educating individuals about Social Security (SS) programs and services. The online services provided by SS can help you plan for the future and keep you in control of your benefits.